The standard rental table that is perfect for every occasion. 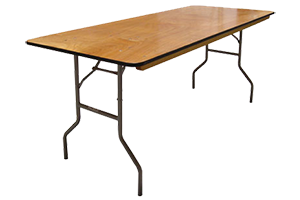 The versatile banquet table can be used for seating, serving, and displays. The banquet table comfortable seats 8 people. 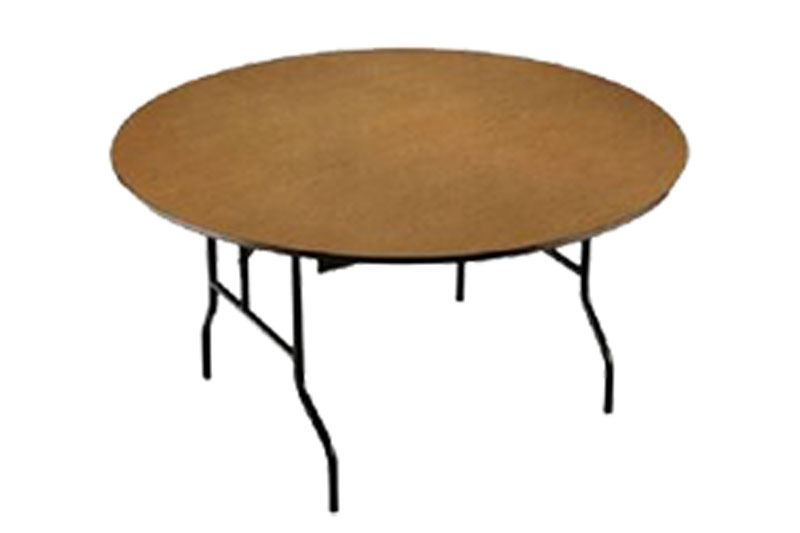 4 foot and 5 foot round table add a touch of elegance to your seating arrangements. Round tables can dress up your formal events such as weddings, receptions, and corporate events. The 4′ Round table seats 6-8 people, while the 5′ Round table seats 8-10 people comfortably. 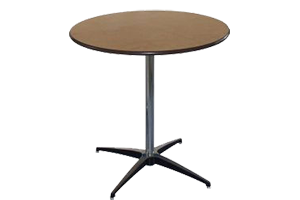 The pub table is most commonly used for parties and other special events. The pub table has a 30 in. round top, can convert to either 30 inches or 42 inches in height. The serpentine table is great for unique buffet designs or as a beverage serving table. 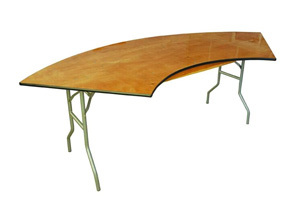 The serpentine table sits 4-6 people and is 6′ in length.